Often a collection agency will threaten to affect a consumer’s credit rating, and a consumer is simply not aware of what this means, or how it will impact them. Below is a summary of some information useful to consumers and debtors listed with a third party collection agency, providing some useful information to better understand how their credit bureau works. Every time you apply for credit, update your information with a trade item creditor, fill out an application with a landlord or authorize a credit check, open a bank account, apply for employment that does a credit check, you have an impact on your credit rating. As well, each inquiry shows up on your credit bureau profile, showing who has been looking at your file. The information gathered by your applications and your creditors is displayed on your bureau -- your name, your date of birth, your social insurance number, your spouse, your telephone number, your address, and your place of employment. This is updated each time new data is provided to the credit bureau. As well, every month, your trade items report to the credit bureau, showing your current payments (or lack thereof), and assign an aggregate score between a “1” and a “9” for each item. A rotating line of credit that you have maintained with payments on time would show up as an “R1”, for example. If you have a secured line of credit based on a physical asset, such as a car, that security can be listed on the credit bureau, showing the dollar value of that security, and who holds it. Lastly, if you are listed in a collection agency for an outstanding debt, or a judgment is received against you, it can be reported to your credit bureau, listing the creditor, the amount owed, and the current balance. As well, bankruptcies would be displayed on your bureau as well. All of this information can remain on your credit bureau for a period of seven years, creating a narrative of your financial history and displaying patterns and habits. Here is a sample of a credit bureau, to see what it might look like. 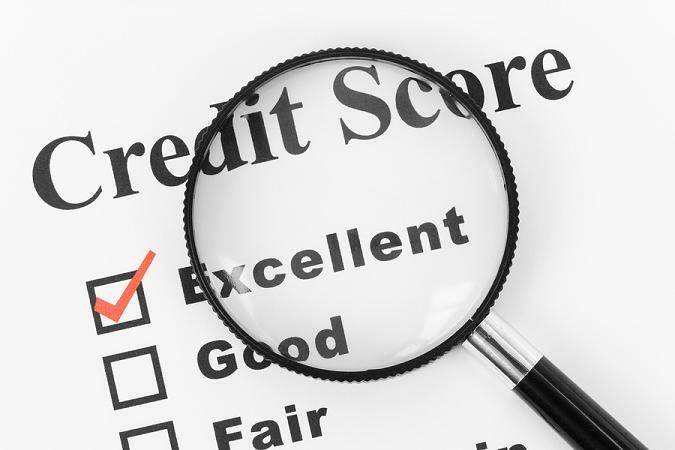 Who Is The Credit Bureau? In Canada, there are two major competing credit bureau companies, registered under applicable provincial laws dictating what they are allowed to display on your credit bureau, and who can access your information. They are Equifax and Trans Union Services. Each of these companies is a corporation in the business of making a profit, which they mostly do by selling inquiries. Usually listing data to the credit bureau is free, or almost free. However, each time an inquiry is made on your credit bureau file, there is a fee paid by the agency or creditor. Because different creditors use either one or both of the bureaus, your credit ratings from each of these companies can look vastly different. What Can A Collection Agency Do To My Credit? Our office typically lists files after an initial period to attempt to contact people before affecting the credit bureau of a debtor, and omit debtors with payment arrangements, but not all agencies allow this grace period. Every consumer should check their own credit report at least once a year, to see what has been reported, verify their information is correct, and have an understanding of what a creditor might see if you apply for credit. You should not pay for your credit bureau report! There are many companies that earn revenue from selling you your credit report online, or offering to pull your credit bureau report on a subscription basis. You can request it for free, yourself. Your credit bureau is a compilation of creditor information, and it not a “pass/fail” grade on your credit-worthiness. If a collection agency has an alleged debt that they wish to list on your bureau file, there is little recourse you have. However, you can request an investigation into the accuracy of the information. If the information is accurate and can be supported by a documented invoice or statement, the item will remain on the credit bureau. Understand that your creditors may update the disputed item on your credit report each month, which means your disputed item may be placed back on the credit bureau up to 30 days later. If as a consumer you have questions about what a collection agency can do to your credit rating, the information above should provide you a basic understanding. If you have questions regarding this, you are welcome to email me your questions. Would be nice to see the Third Party Collection update the bureau once payment is received, this is the most problem area that a consumer has in cleaning up their bureau, along with disputed items due to incorrect billing. Who checks up on the companies not reporting correct information. Excellent point! I believe the root problem is that most collection agencies report once a month. Many agencies do not have robust reporting methods, and files can fall through the gap on what is actually reported. If I can geek out for a second, our database has a flag field for each file that should be reported to the credit bureau, and another date field for when the file was first reported. Each file with a negative statuses (Uncooperative, Avoids Contact, Broken Arrangements) are automatically flagged. Files with postive statuses (Promise Payment, Post-Dated Cheques, Cooperative) are automatically unflagged. Files with neutral statuses (Trace, In Progress, etc) are flagged after 30-90 days in our office. This gives us control over when a file should be reported to the bureau. Flagged files are reported for the first time to the credit bureau, and each month any file that has been previously reported is re-reported to ensure accuracy, so no file falls through the cracks. So paid files that have been previously reported are updated, but paid files that have not been sent to the bureau are closed as resolved without reporting. However, our collection database was built in-house, so we had the freedom to customize our output. Some agencies callously wreck havoc with their bureau reporting. I just it a copy of my credit report and found an entry from Contact Resources Service that was reported on 03/10 for $306. Balance outstanding $519. Last date to ayment (to Rogers): 07/07. How can they report this given it is stat barred (in ON)?? Also, I only first heard from the collection agency last month!! And they almost wouldn't put anything in writing when I requested that they contact me that way...how can they put that on my credit report?!? It's excellent that you ordered a copy of your own credit bureau -- you should do this every year to look for items you weren't aware of, like this one. I believe you are referring to the 2 year statute of limitations for legal action -- for credit reporting in Ontario, an item up to six years old can be listed on the bureau, from either the date of delinquency or last payment date. If your last payment was July 2007, that's still a valid debt. However, you have every right to ask for a letter in writing, and they should comply -- a progressive agency could provide that to you via email instantly. What happens often with older debts is that the creditor (Rogers in this case) assigns the file to one collection agency, and then after a period of time reassigns the file to another agency. Some creditors do this 2 or 3 times. This means that a collection agency can indeed call you out of the blue on an older account. My suggestion would be to offer to settle for the original amount -- many reassigned accounts have settlement parameters with the collection agency. If I can be of further help, feel free to post, or email me privately.